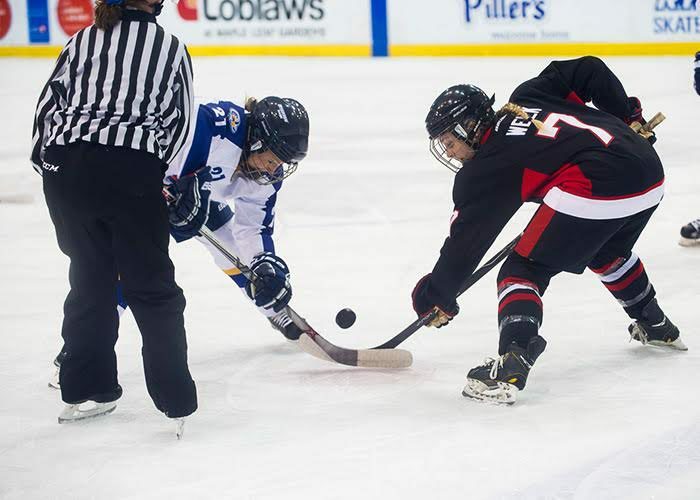 The Ryerson women’s hockey team hit the ice Friday evening after a busy off-season, winning its first exhibition game 3-2 over the Carleton Ravens. The game featured eight new faces in the Ryerson lineup. After a disappointing season last year, the women’s hockey team revamped their roster. 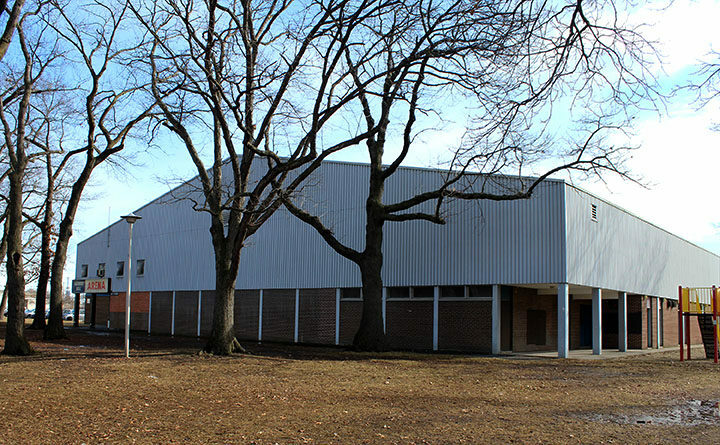 After making the playoffs in 2014-15, the Rams failed to make the postseason last year, finishing the Ontario University Athletics season with a disappointing record of 3-21. For the upcoming regular season, some major adjustments have been made to the Rams’ offence. The recruiting class of eight new players consists of six forwards, one defenceman and one goaltender. The revamped Rams got off to a fast start on Friday with a 2-1 lead after two periods. Newcomer and Ontario-native Ailish Forfar scored a pair of goals. She is fresh off three successful seasons of NCAA Division I hockey at Dartmouth College. “I had a little bit of nerves [for my first game] but definitely scoring in the first shift helped with that,” Forfar said. Forfar joins the Rams with two years of eligibility remaining. She’ll add leadership to the Rams, which is something the team was looking for, said Haley. “Two of the areas that we really wanted to grow in were offensive production… and leadership was important, and that’s where [players like] Ailish Forfar have really helped having already had a university experience under their belt,” Haley said. After some back and forth play in the third, the Ravens stormed back to tie the game and put the pressure back on the home team. Buoyed by some great defensive plays from the Rams’ backend, the team was able to take back the lead. This brought the score to 3-2 with a goal off the stick of rookie forward Leanne Baker. The Ravens pulled their goalie in the final minute but weren’t able to tie the game up, securing Ryerson’s first win of the preseason. The team showed off their new offensive prowess by finishing the game with 28 shots on net while also displaying strong defence, allowing only 14 shots against. The Rams’ regular season begins in St. Catharines, Ont., against the Brock Badgers on Oct. 13. The team played again Sunday afternoon, losing 2-1 to the Toronto Aeros. Their home opener will be held on Oct. 20 at the MAC when the Rams take on the University of Toronto Varsity Blues.